You know when you read a book and it makes you feel every single emotion possible? That is what I felt when I read And Then We Ran by Katy Cannon. And Then We Ran centres around Megan and Elliott who live in a small English Town where everyone knows each others business and cannot wait to give their two pennies worth. Both Megan and Elliott are about to make the next moves in their lives and as with all big decisions teenagers have to make, it comes with a lot of questions which need answers. Megan has finally figured out exactly what she wants she do in life. She is also trying to cope with the grief of her sister. Elliot on the other hand has is own family troubles which in a small town, leaves him feeling quite isolated. Both of them have felt the pain of growing up quickly compared to others their age. Cannon brings them together and we watch them embark on a joint journey of self-discovery. We see them laugh, cry, hide and even get angry. What is beautiful about Cannon and her writing is that we are meant to feel every single one of those emotions. From the crazy ideas Megan comes up with to the surprising ending I was hoping for but was not sure was going to happen. As I was reading it, I fell wholeheartedly into the world Cannon created from the seaside town to crying with the character as they embark on their journeys. I felt I was living in the town created by Cannon with Megan and Elliott standing by them as the story unfolds. And Then We Ran is a beautiful coming of age story written by a wonderful author. If you love an emotional Young Adult book this is one which will tick the box. 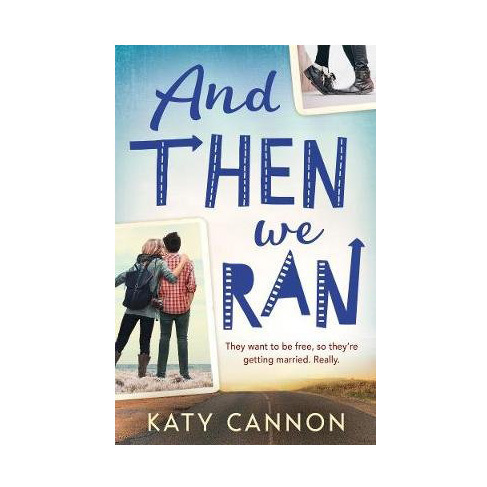 And Then We Ran is available to pre-order from Amazon and hits the shelves on the 7th April.